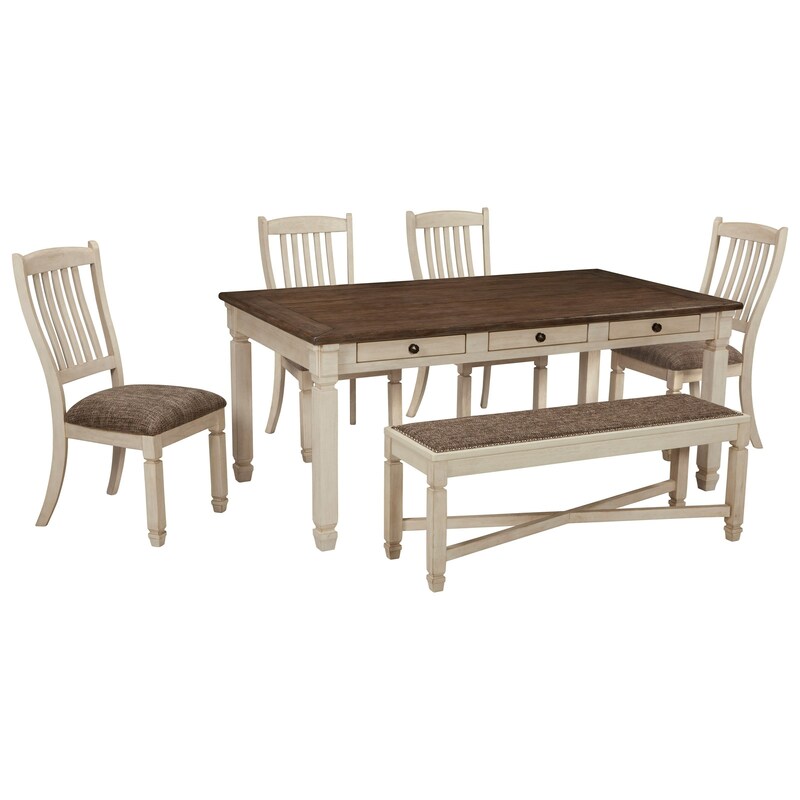 Relaxed vintage in style, this table and chair set with a bench will enrich your dining room with charming style. 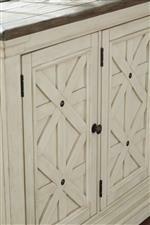 Boasting a unique two-tone finish, the weathered oak and antique finish provides a beautiful contrast. This set also offers convenience, with six drawers on the table top for the dining room items you need within reach. Each seat is upholstered to provide comfort while you enjoy time gathered around the table with loved ones. The Bolanburg Relaxed Vintage Table and Chair Set with Bench by Signature Design by Ashley at Miskelly Furniture in the Jackson, Pearl, Madison, Ridgeland, Flowood Mississippi area. Product availability may vary. Contact us for the most current availability on this product.